Iraqi residents of the northern city of Mosul, angry over the sinking of a ferry in the Tigris River that killed 95 people, blocked a road where Iraq's presidential convoy was passing on Friday, chanting "no to corruption" and pelting the provincial governor's car with stones. 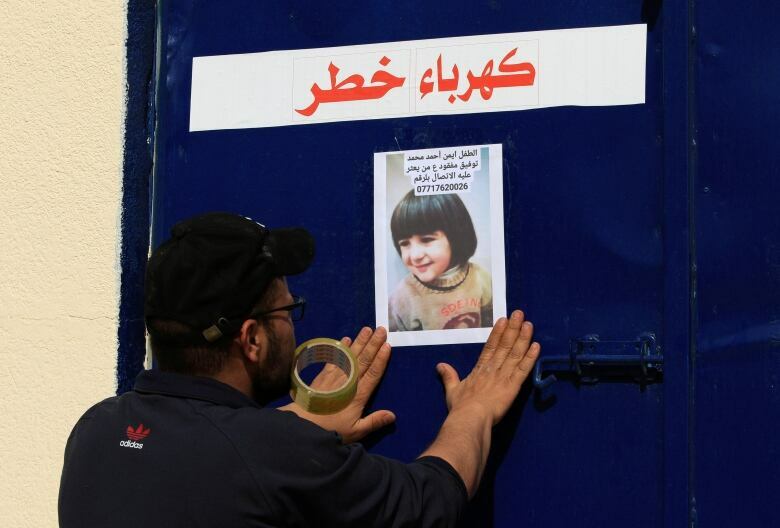 The visit to Mosul by President Barham Saleh came as search teams were trying to find more bodies after the ferry, overloaded with holidaymakers celebrating both Nowruz, the Persian New Year, and as well as Mother's Day, capsized on Thursday near the city with dozens including families with children aboard. Another body was found Friday, raising the death toll to 95. 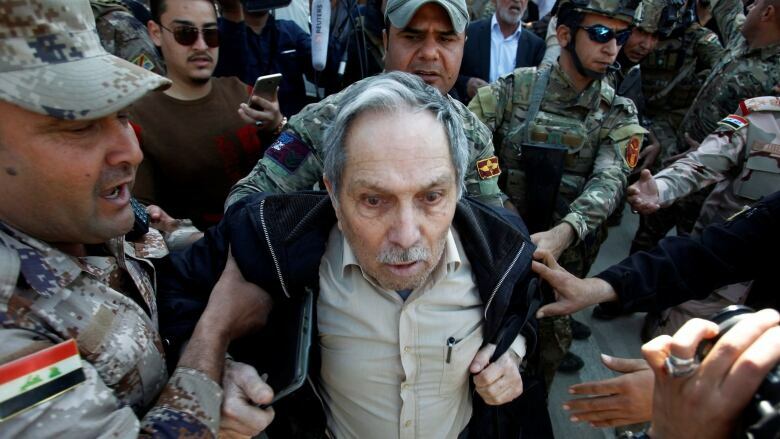 The protesters did not harm Saleh but shortly afterward pelted the SUV of the governor of Nineveh province, Nofal al-Akoub, with bottles and stones, demanding he be sacked. A video soon emerged, showing the two incidents. In one, Saleh is seen speaking from his car window with the protesters, many of them young men. Saleh had rushed to Mosul where he held meetings with security officials over the sinking of the ferry. The spiritual leader of Iraq's Shia majority, Grand Ayatollah Ali al-Sistani, called for accountability for those responsible for the sinking and urged officials whose ministries were linked to the tragedy to resign. Al-Sistani's message was delivered by his representative, Ahmed al-Safi, in the Shia holy city of Karbala. Earlier Friday, relatives of the victims went to the local hospitals to collect bodies of their loved ones ahead of funerals. Some people gathered outside the hospital chanted: "No to corruption" and "They are all thieves." "How can a ferry sail with no means of rescue available?" said Dalia Mahmoud, a woman who was standing outside the coroner's office. Iraqi Prime Minister Adel Abdul-Mahdi ordered an investigation and briefly visited Mosul, where he declared three days of national mourning. Canada extends its deepest condolences and profound sympathy to the families, friends and loved ones of those who lost their lives in the ferry accident on the Tigris River near <a href="https://twitter.com/hashtag/Mosul?src=hash&amp;ref_src=twsrc%5Etfw">#Mosul</a> on this special day of celebration. Pope Francis sent a telegram of condolences to Iraqi authorities, expressing his "prayerful solidarity" with all those who lost loved ones. He wrote he was praying for the whole Iraqi nation "the divine blessings of healing, strength and consolation." Other countries, including Canada, also expressed condolences. The sinking of the ferry is a tragic blow to Mosul, Iraq's second largest city that is struggling to overcome the devastation wreaked by the Islamic State in Iraq and Syria. ISIS had captured Mosul in the summer of 2014, making the city its main stronghold in Iraq. After U.S.-backed Iraqi forces retook Mosul three years later, in July 2017, much of the city was left in ruins. "We lost a lot because of Daesh and we will not accept to lose more," said Mahmoud, using an Arabic name to refer to ISIS.